So did you hear the news? 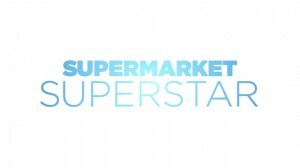 Our very own Dom will be representing Don Chow Tacos on Lifetime Network’s new competition show called “Supermarket Superstar”. The show features Chef Michael Chiarello, Debbie Fields (aka Mrs. Fields), and Chris Cornyn. Our episode is scheduled to air on July 29, 2013 and of course we’ll be having a viewing party. Stay tuned for the details. In the meanwhile, you can read up on the show here.